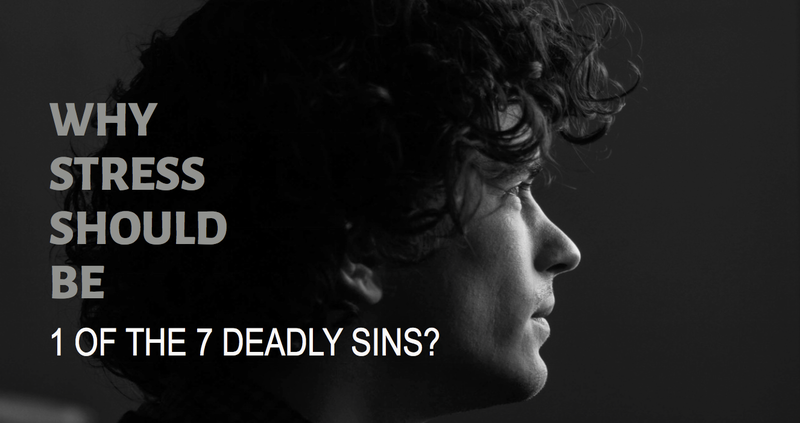 WHY STRESS SHOULD BE ONE OF THE SEVEN DEADLY SINS? Did you know that 85% of the stuff that we worry about never actually happens! Yet, most of us would have felt that we handled the outcome better than we thought we would even when they were a reality. A study carried out by GfK suggested that money, self-pressure and lack of sleep are the three major triggers of stress in people’s daily lives across the globe. Out of 10 participants, 3 of them said that the amount of money they have to live on is their leading cause of stress. As people get older, health issues also develop into a major stress factor. Seventy percent of adults felt that they experienced stress or anxiety every day. With connected devices such as smartphones, we have become a distracted generation. We end up wasting hours checking irrelevant emails and intrusive social media accounts. Nowadays, employees are forced to check the emails even when they are away from work. This ‘always-on’ culture is having a damaging effect on their health with many of them end up reporting increased stress and associated problems, such as persistent headaches and insomnia. WHY STRESSES ARE WORSE THAN NOT GETTING A ROSE? 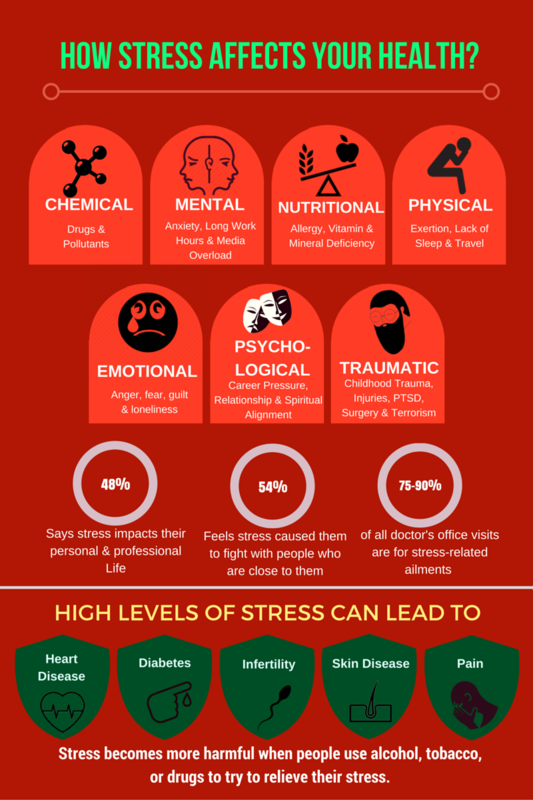 While stress can be a normal physical and psychological response to the demands of life, too much of it can be harmful to one’s health. When stressed, our body produces hormones such as cortisol and adrenaline. These hormones cause changes in our body such as rapid heart rate and increased sweating. An influx of these stresses can also cause gastrointestinal or stomach problems. Generally, these are the symptoms of short term stress. Examples of short term stress can include one's response to a traffic jam or large piles of work. Sometimes these acute events of stress happen too often and our body does not have time to recover. Most people have misinformation about what causes stress. If we don’t know what actually causes stress, we end up spending a lot of our time addressing it. We tend to think uncertainty and stressful situations cause stress. But, it’s our thoughts that create stress. When you think about a stressful situation, you become tensed. Therefore, it’s the thinking that creates the stress and not the situation. All it takes to lose your stress is to think about something else that makes you happy. Likewise, does uncertainty creates stress? It’s the idea of “a bad outcome is possible” is creating the stress. You tend to decide a bad outcome is bad. e.g., the thought that it would be bad if you don’t get a job done in time or if you break up or if you get hurt. 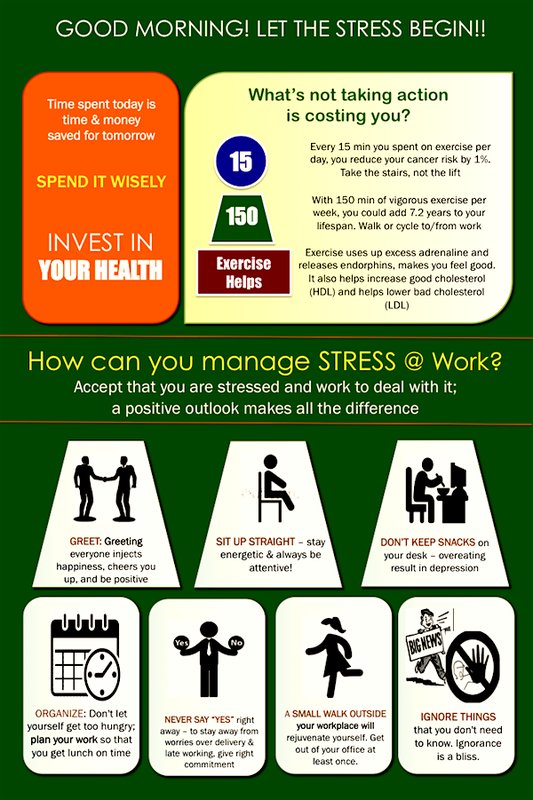 Ninety percentage of us feel stress is an inevitable part of our lives, but it doesn’t have to be that way. We all know what it means to be under stress, but there are ways to beat it. Take a timeout to do something that you enjoy. Your body and mind will thank you for that. Taking a nature walk reduces mental fatigue, frustration & anger, and improves well being. Talk to a friend or a co-worker. Social support buffers us from on-the-job burnout. Get a massage. It can reduce levels of stress hormone cortisol by one-third and increase levels of feel-good brain chemicals serotonin & dopamine by around the same amount. Sometimes, a gentle touch or acupressure can relieve stress. Find some time to meditate. Mindfulness meditation has shown to reduce levels of everyday stress by as much as 39%. Or just smile. Smiling reduces the intensity of your body’s response to stress. Studies have shown that Vitamin C and B complex along with minerals like magnesium & zinc can ease stress symptoms. Fresh vegetables, fruits, almonds, fish, and whole grains contain these vitamins and minerals. Stress can be fun, sometimes! 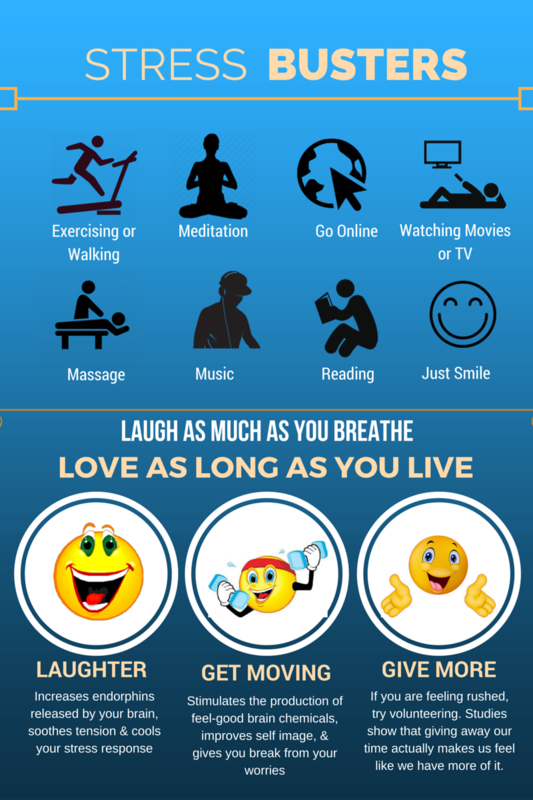 With a little bit of knowhow, you can become a calmer and happier you! !